As is true in the real world, such moments of tranquility that allow one to process the global and local changes occurring around them are fleeting in both times of conflict and peace. The story of the Yacoub family is one that begins shortly before the Six-Day War in June of 1967 with a mother’s predictions from reading coffee grounds kept hidden from her daughter on the eve of her wedding. 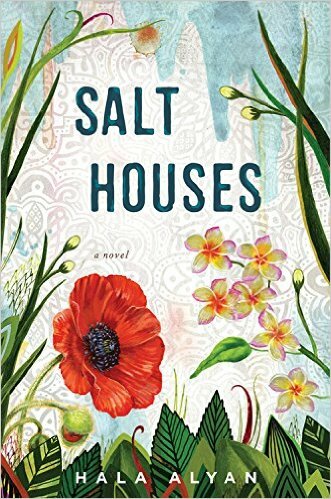 In her debut novel Salt Houses, Palestinian -American writer and clinical psychologist Hala Alyan traces the family’s history following the chaos of armed cultural and religious conflict. Siblings and offspring are torn between past and present, family loyalty and personal destiny as each struggles with the meaning of “home” and political forces beyond their control. 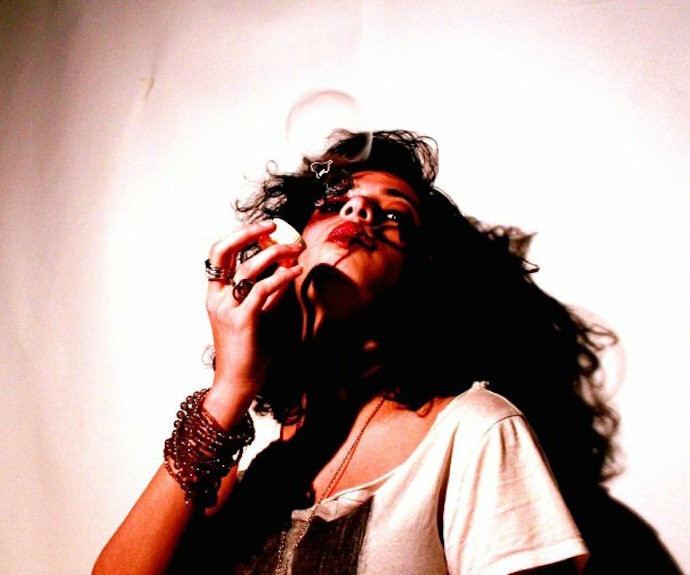 This should hardly come as a surprise to anyone familiar with her past work as a poet, from her first collection, Atrium: Poems, which won the 2013 Arab American Book Award, or Four Cities, published by Black Lawrence Press. I sat down and spoke with Hala over GChat , both of us in our respective homes in Queens and Brooklyn, New York to discuss the research process of historical-based fiction and universalities of cultures that brings us together. Fanzine: How is your writing process different in prose as opposed to poetry, if at all? Hala Alyan: With prose, there’s less instant gratification, which is one of the things I love about poetry. You work on a piece and pretty soon after have something to show for it. I always think of it as a (writerly) sprint versus marathon. I tend to let poetry happen whenever it does; I’m much more laidback about that process, because I find that I’ll get inspired at random moments and find it counterproductive to try to force it. For me prose has proven to be the opposite. If I didn’t find a ritual, I probably wouldn’t have stuck with it. So I write for thirty minutes a day on whatever prose project I’m working on. You mentioned in a previous interview that you experienced intense recall in remembering dreams while writing a poetry collection. Did you find this to be true while writing Salt Houses? Totally. I used to think of being an active dreamer as more of a curse, but once I stopped resisting it so much, I found that it was an unusual asset in the creative process. I started to dream about the family in Salt Houses a year or so into the writing, and would often wake up with an understanding of what I should do next. Running has that effect on me, too. I messed up dozens of times. I wasn’t the most organized writer, which made the editing process much more labored than it had to be. But it allowed me to write whatever scenes I felt most excited about, regardless of chronology. One of the things I’ve learned in this process, however, is to storyboard more, to use outlines and try, when possible, to write chronologically. What was the research process like? Did you find yourself having to stop ever to gather more information for specific details? It was really enjoyable actually; I read a great deal and listened to old music, asking people if they had photographs of those cities in the sixties, seventies and eighties. I talked to my father a lot. Whenever possible, I’d ask friends whose families had been in particular places during world events what they remembered most vividly about that time. I wrote the first draft with tons of “X”s peppering the pages, for things I knew I’d have to go back and research more. There’s often the imagery of television news, were you able at all to see any archival footage? I probably could’ve done more work in digging up archival footage, but I stuck with what I could find online. For my new project, I’m using the library more frequently for that sort of thing. I noticed that food occupies a large role in the book. Could you talk about the importance of food in Palestinian culture? I think food is important to any culture. It’s often a product of history and ritual. In Arab culture in general, food is intertwined with many collectivist values; a meal is more than a meal, it’s also a way of expressing love, sharing time and conversation, and keeping generational memory alive. I know you grew up in Kuwait, Oklahoma, Texas, Maine, the United Arab Emirates and Lebanon. Have you been to Palestine? Yes, I went a few years ago. What changed since the previous time you were there? Oh, I’ve only been the one time. I went alone when I was towards the end of my doctoral program, when I was starting to brainstorm this project more seriously. I spent my days taking buses from Jerusalem and Ramallah to neighboring cities; it was a surreal experience—a setting simultaneously familiar and foreign. I thought of it as a time to bear witness, ask questions, try to take up as little space as possible. I learned a tremendous amount in those few weeks; people were generous with their time and memories. You received your doctorate in clinical psychology, I understand? Aside from compassion, how does your work in the field inform your writing, particularly in writing characters in fiction? I think it helps inform my curiosity, my willingness to witness and observe events, dialogue, people, all of which goes along nicely with being a writer. It also encourages you to look for patterns, a way to make order from turmoil and chaos, which is helpful in organizing a plot. Do you feel that our subconscious tends to fall into patterns? I think so, but I’m probably biased. Our subconsciouses are always gathering and reordering information, trying to make sense of things we aren’t necessarily even aware of. Has the role of the poet in America changed much since the recent presidential election? I think the role of the artist has become more urgent and necessary than ever. Although I’m wary of pretending that it hasn’t always been urgent: practices of erasure have always been part of this country’s history.